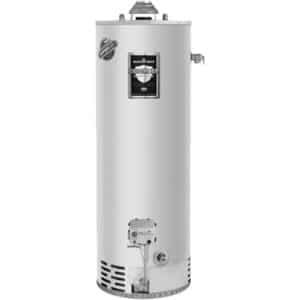 Are you in need of water heater repair services in your Brooklyn, NY property? Call us today at (718) 748-1254. Click here to check out our internet specials and discounts for your plumbing service. Most Brooklyn-area residents hire a professional water heater repair expert to help them repair and maintain their home’s water heaters. 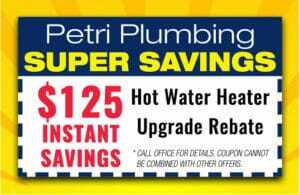 At Petri Plumbing, we offer high-quality water heater repair services that can help you save money on costly water heater replacement projects. What Are Some Types of Water Heaters That Are Used in Homes? Indirect water heaters – these are a more efficient choice for many houses. Indirect water heaters us the main boiler or furnace to heat a fluid that is then circulated through the storage tank’s heat exchanger. We typically recommend these the most, and are one of the few plumbing companies in Brooklyn that specializes in indirect water heaters. We install the main manufacturers of indirect water heaters, including HTP In-directs and Burnham Alliance water heaters. Traditional water heaters – designs that use tanks to heat and store hot water. Tankless water heaters – designs that heat water as needed using a heat exchanger that is designed to save energy and money. These designs offer different benefits to homeowners that can vary widely. This is not surprising because most water heater designs use different heating processes and heating elements to produce hot water. As a result, the issues that each type of water experience varies, as do the ways that we treat each unit when making repairs. When Is It Better To Repair a Water Heater? Today’s Water Heaters are highly efficient, highly advanced units but just with every piece of technology today, their does come a point at which repairing a water heater is just “throwing money into a sinking ship”. There are still many water heaters that are worth repairing instead of replacing with a new unit, though. 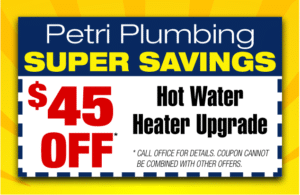 If you’re not sure whether you’re water heater is able to be repaired or if you’d like to get an honest expert opinion, the team at Petri is here to help. How Can I Lengthen The Lifespan Of My Water Heater? Moreover, owners of hybrid water heaters should consider maintaining the heating pumps and thermostats that are included on most hybrid water heaters to ensure they work properly. Be sure to contact us today at (718) 748-1254 to learn how we can help you maintain your water heater’s vital parts efficiently. We would be happy to show you how our modern water heater repair techniques can be used to help you maintain an efficient source of heated water.